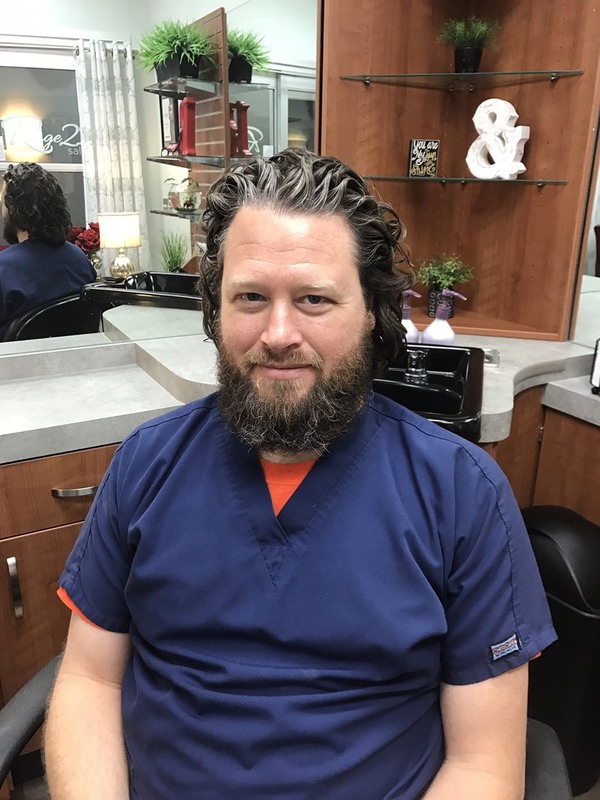 As they say, “Happy wife, happy life.” When Tammy Muniz’s client Sean came in with pictures of Ryan Gosling in hand, she knew she had to trim up his long hair and give him a bit more of a GQ-worthy look. 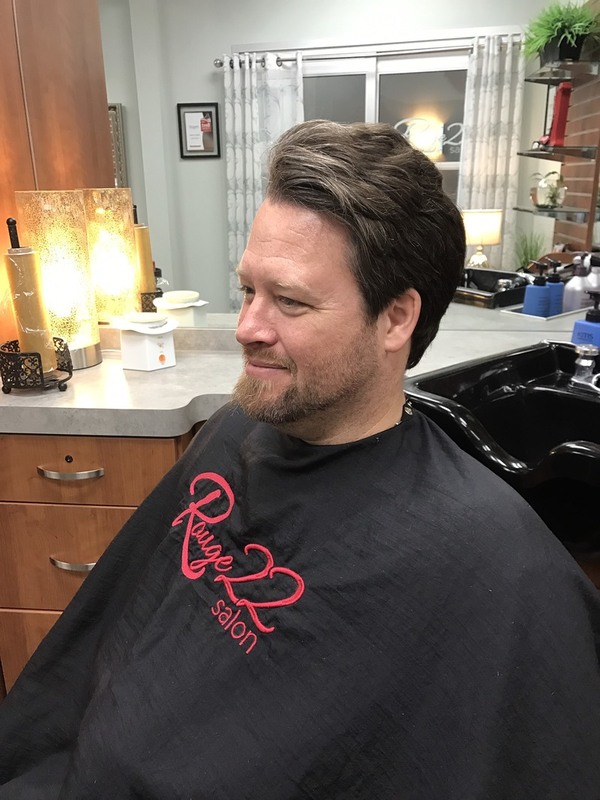 The end result is a short-layered and chic new cut (to make that wife of his happy!). 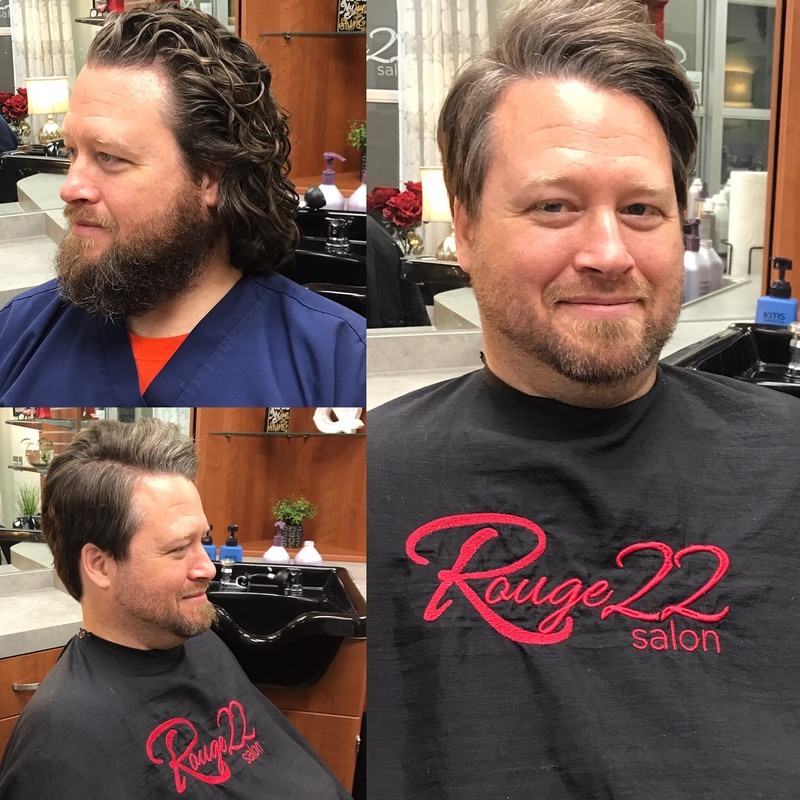 “We had so much fun all along the way trying different styles and looks throughout the cutting process. He's a ham and a good sport, even when I started with a mullet” added Tammy. Step 1: Apply Schwarzkopf OSiS+ Grip Extreme Hold Mousse as a cutting lotion. NOTE: To aid in hydration, Tammy also applied Pureology Colour Fanatic Multi-Benefit Leave-In Treatment prior to cutting. Step 2: Cut around the perimeter of the head to establish the shape. NOTE: Tammy kept Sean’s hair shorter around and near the ears and nape of neck his and left the top longer to give versatility in styling. Step 1: After the cut, I applied a gold ball-size amount of Schwarzkopf OSiS+ Grip Extreme Hold Mousse and then Pureology Colour Fanatic Multi-Benefit Leave-In Treatment. Blow dry and smooth hair using a round brush. Step 2: Once hair is dry, apply a pea-sized amount of Matrix Style Link Matte Definer Beach Clay. Tammy is one of our 2017 Faces of Sola stylists who owns Rouge 22 Salon in Chattanooga, Tennessee. She has been in the beauty industry for 15 years and is a mentor to her daughter and son who are also hairdressers. Tammy’s passion for continuing educations keeps her clients excited and engaged and you can guarantee her attendance at every Sola Session. We invite you to read more about Tammy in her Faces of Sola Q&A on the Sola blog.